We’ve got plenty more coming your way from our ReAction line with Funko! 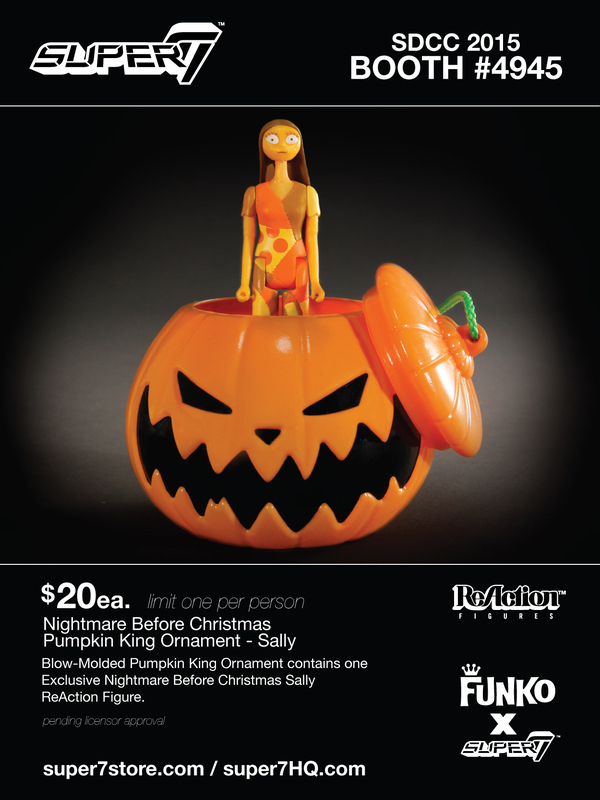 Presenting our Pumpkin King Ornament Jack and Sally figures from the Nightmare Before Christmas! 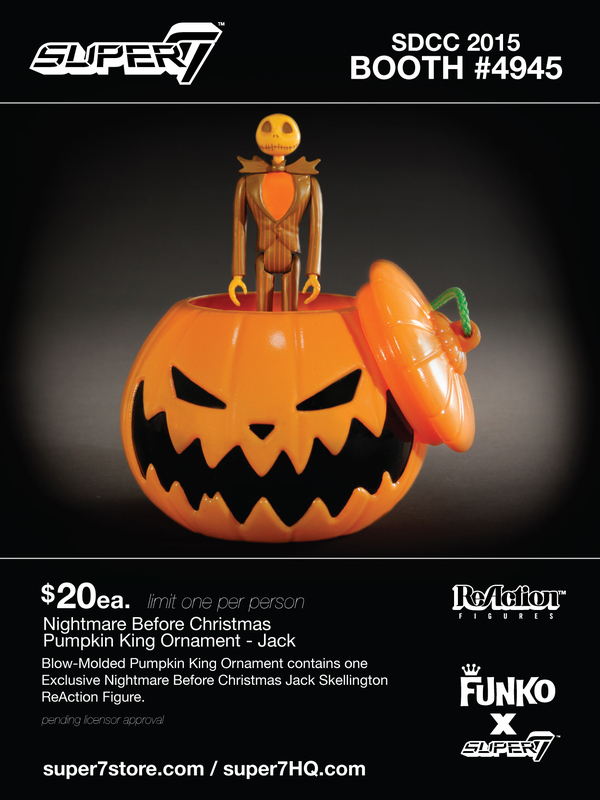 These Orange edition Jack Skellington and Sally figures comes packaged inside a blow-molded Pumpkin King ornament. These are exclusive to the Super7 booth #4945 and are limit one of each per person for $20 each.